Shine Bright Care, LLC provides you with the best Caregivers available in the industry. Our employees are carefully screened in order to provide you with excellent care and peace of mind. We have professional and dedicated caregivers, who will always give your loved one the absolute respect they deserves. Our client’s dignity is never compromised, only improved, by our highly trained and experienced staff. Criminal background checks are performed as well as DMV checks for safe driving and a valid car insurance. 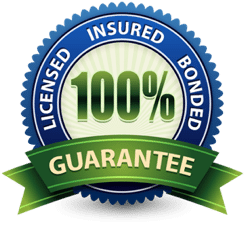 We require verifiable personal and professional references, and we ensure that our employees are bonded and insured. We examine methodically the perfect caring personalities your loved one will need. We also demand of our caregivers to complete further training and education regularly. A large number of our staff members have extensive experience on how to attend to Alzheimer’s and Dementia patients. In addition to our staff having previous care giving experience, they additionally get constant in-house training provided specifically by us on a continuous basis, ensuring that Shine Bright Care, LLC caregivers remain the top of the line home care experts that our customers have come to expect. Nothing less will suffice for our senior and elder care community.